The Texas Christian University Bands have a long and distinguished tradition of excellence and accomplishment spanning over a century. Membership in the bands carries with it a significant responsibility to uphold and continue that tradition. It involves dedication, achievement and hard work. Our ensembles allow majors and non majors to have a variety of performance opportunities with the University Bands. Learn more about the Wind Symphony. The TCU Symphonic Band focuses on wind music of artistic and historical significance. Learn more about the Symphonic Band. Concert Band covers a wide range of musical styles and gives music majors opportunities to improve their performance on secondary instruments. Learn more about Concert Band. The Texas Christian University Jazz program consists of at least two big bands along with several student combos and have performed with renowned artists. Learn more about the Jazz Ensembles. TCU Percussion, under the direction of Dr. Brian A. West, is dedicated to maximizing percussion education through a wide variety of performing ensembles and closely supervised private lesson structure. Learn about the Percussion Ensembles. Drawing students from almost every field of study, the band is one of the most visible and prestigious organizations on campus. Learn more about the Marching Band program. This enthusiastic 100-member organization contributes to the spirit and excitement of the TCU campus. Learn more about the Basketball Band. Mr. Francis is the Director of Bands at TCU and the Conductor of the TCU Wind Symphony. He teaches graduate and undergraduate conducting and is responsible for the supervision of all aspects of the TCU Band program. Mr. Youngblood is the Associate Director of Bands at TCU and Director of the TCU Horned Frog Marching Band and Conductor of the TCU Symphonic Band. Mr. Garrett is the Assistant Director of Bands at TCU where he is the Director of the Basketball Band, the University Concert Band and assists with the Marching Band, Wind Symphony and Symphonic Band. Mr. Eckert is Professor of Saxophone at TCU and Director of Jazz Studies. 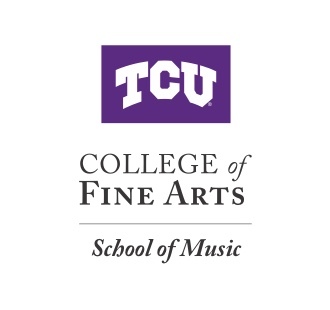 TCU’s comprehensive music and leadership experience gives middle school and high school students a combined camp setting that will prepare them for success in marching band leadership as well as concert band, solo and chamber music. The TCU band has a rich heritage rooted in excellence.